Madagascar is an amazing island, full of both famous attractions as well as charming secrets. This book brings the flora and fauna of Madagascar to the reader in an easily understandable way while at the same time being scientifically correct. It describes animals and plants, climate and geology, mountains and lakes, the origin of people and nature, environmental challenges and many other topics. Thus, it might be the one and only book you’ll ever need about Madagascar’s nature. It has colourful photographs on every page and many maps and illustrations which makes it fun and easy to read. It is bilingual Malagasy – English. 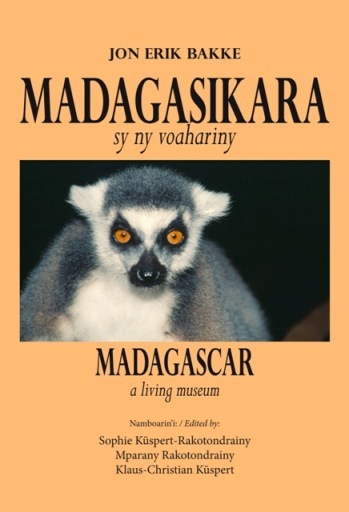 The book is a new edition of Jon Erik Bakke’s Norwegian book from 1994, “Madagaskar – et levende museum”, with its Malagasy translation. However, all the content as well as the layout has in this new version been thoroughly revised and reworked, with updated information and many new pictures. This work was done jointly by Sophie Küspert-Rakotondrainy, Mparany Rakotondrainy and Klaus-Christian Küspert. The latter has also made all the new maps. “Fantaro ny nosintsika” means “Get to know our island”. The book contains over 80 color photographs and 8 handmade maps. It is about the Malagasy geography containing one chapter for each of the six provinces of the island. It includes topics like major cities and towns, nature and environmental problems, waters and mountains, the livelihood of people in different regions and fact boxes about special features within the provinces like for example the royal palace in Antananarivo. For each chapter there is an interview with an adolescent living in that particular province telling about his or her life and the place where he or she lives. 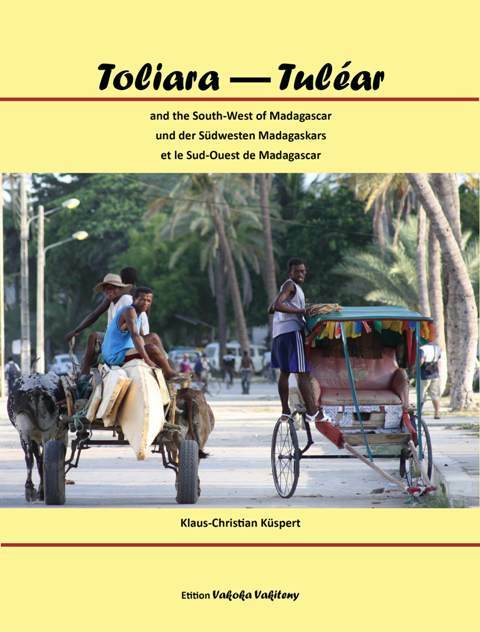 The reason for publishing this book is that most Malagasy students don’t know much about their own island. The lessons taught in school are very theoretic and do not leave a vivid impression about the areas the students most likely never will be able to visit themselves. We want to give children and youth the possibility to get to know their own country in a way that makes them able to imagine how the different regions are. 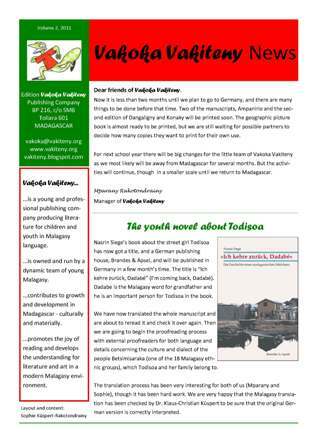 If there is one book all Malagasy students should have about their country it is this one! "Mihisa" means "to play" in the dialect in the south of Madagascar, the book, however, is written in official Malagasy. Vakoka Vakiteny has, together wit the team of Green Schools Bara developed a book with games, handicraft, sports and other creative activities for use at primary schools. The main objective of this book is making children happy and open to learn and communicate with each other, to develop their ability to cooperate and to find creative solutions. There are, however, many other more school related goals included in the activities. Because of the great success of "Mihisa 1" and the request from teachers and pupils, Vakoka Vakiteny , together wit the team of Green Schools Bara, decided to develop "Mihisa 2", a book with new games and creative activities for use at primary schools. Again, the main objective of this book is making children happy and open to learn and communicate with each other, to develop their ability to cooperate and to find creative solutions. This book contains on request from teachers using Mihisa 1 more games for the smallest children in school, and focuses on learning to read and write. The games also need even less tools than in Mihisa 1, which also was a wish from the teachers. 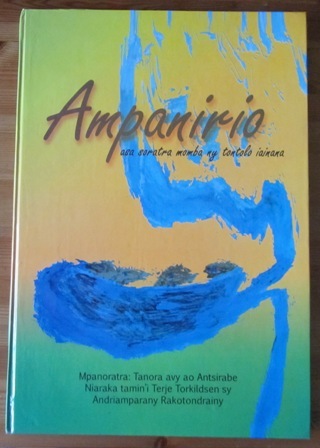 Ampanirio is a colorful book containing 25 texts and many pictures about Malagasy nature and environmental problems. It was created during a workshop in Antsirabe in November 2010 arranged by “Green Living” (grønn hverdag) in Stavanger, Norway. The participants in this workshop were youth from different schools in Antsirabe. Together with the Norwegian author Terje Torkildsen and the Malagasy author Mparany Rakotondrainy they wrote poems, funny stories, short stories, fairytales, and jokes. 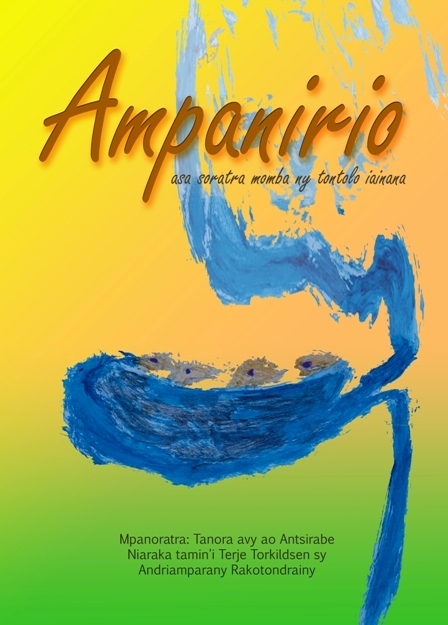 The illustrations were done in cooperation with the Malagasy artist Voninirina Rakotoson. 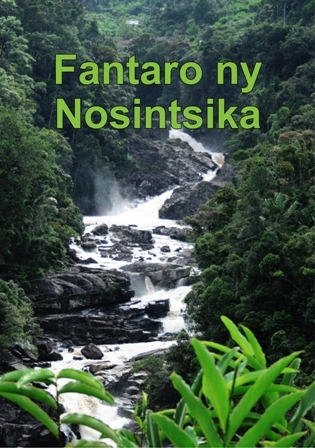 The book expresses the Malagasy youth’s concern for their environment and their genuine interest in the unique nature. The book was printed on recycled paper and distributed to the participating schools in 2000 copies. It is not for sale. For questions about permission to use certain texts or pictures in the book please contact us or Green Living (http://www.gronnhverdag.no).